The Spartan range is the smartest, most efficient and most maintenance friendly solution for Hazardous Area environment. SPARTAN Floodlight range is designed specifically for hazardous environments which require high performance, high reliability, Infra-Red illumination. 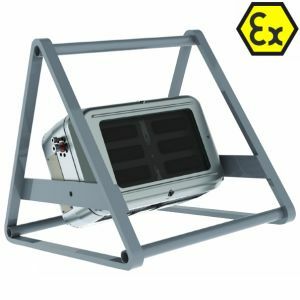 Housed in Marine Grade aluminium with a toughened glass window, and using field-proven, long-life LED technology, SPARTAN Floodlights are ATEX compliant and IECEx certified for all Zone 1 and Zone 2 applications and rated for T4, T5 and T6 environments/locations. For emergency variant see Spartan 24 or 48. SPARTAN Floodlight range is designed specifically for hazardous environments which require high performance, high reliability, Infra-Red illumination. 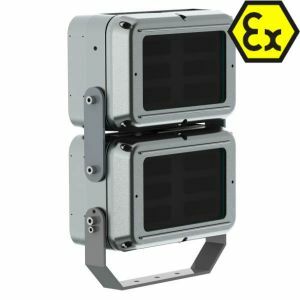 Housed in Marine Grade aluminium with a toughened glass window, and using field-proven, long-life LED technology, SPARTAN Floodlights are ATEX compliant and IECEx certified for all Zone 1 and Zone 2 applications and rated for T4, T5 and T6 environments/locations. Available in both standard and emergency versions. 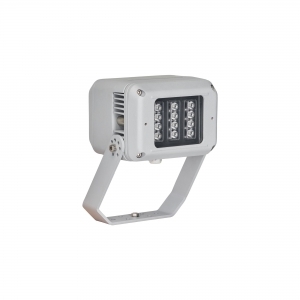 The SPARTAN Floodlight range is designed specifically for hazardous environments which require high performance, high reliability, White-Light illumination. 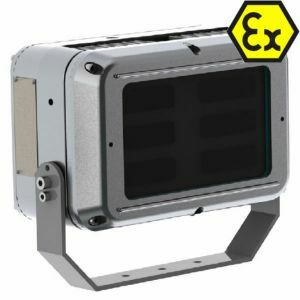 Housed in Marine Grade aluminium with a toughened glass window, and using field-proven, long-life LED technology, SPARTAN Floodlights are ATEX compliant and IECEx certified approved for all Zone 1 and Zone 2 applications and rated for T4, T5 and T6 environments/locations. Available in standard versions only. For emergency variant see Spartan 24 or 48. The SPARTAN Floodlight range is designed specifically for hazardous environments which require high performance, high reliability, White-Light illumination. 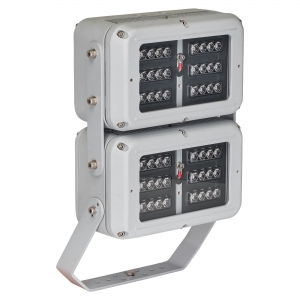 Housed in Marine Grade aluminium with a toughened glass window, and using field-proven, long-life LED technology, SPARTAN Floodlights are ATEX compliant and IECEx certified for all Zone 1 and Zone 2 applications and rated for T4, T5 andT6 environments/locations. Available in both standard and emergency versions. The Spartan Transportable Floodlight range is designed specifically for hazardous environments which require high performance, high reliability, temporary White-Light illumination. Typical applications include shot-blasting, industrial painting and construction. 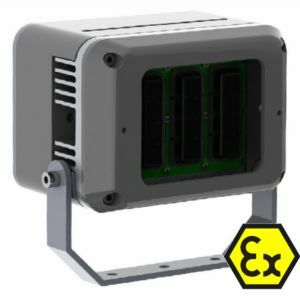 Housed in Marine Grade aluminium with a toughened glass window, and using field-proven, long-life LED technology, Spartan Transportable Floodlights are ATEX and IEC Ex approved for all Zone 1 and Zone 2 applications and rated for T4, T5 and T6 environments/locations. Available in both standard and emergency versions. The SPARTAN Floodlight range is designed specifically for hazardous environments which require high performance, high reliability, White-Light illumination. 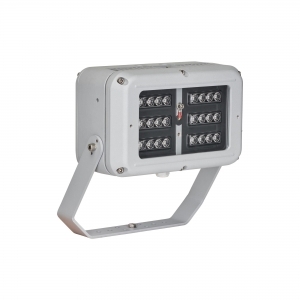 Housed in Marine Grade aluminium with a toughened glass window, and using field-proven, long-life LED technology, SPARTAN Floodlights are ATEX compliant and IECEx certified for all Zone 1 and Zone 2 applications and rated for T4, T5 and T6 environments/locations. Available in both standard and emergency versions.